Here is a list of 7 mistakes most commonly seen on the amateur level. Many chess players just do not realize why they keep losing these games. The answer is simple. These players keep making the same mistakes over and over again, in every single game they play. How many games could have been won by avoiding these simple mistakes most people make? Take a look at the list and you will avoid these blunders! Mistake of novice players #7 Neglecting the development and sudden queen strikes is what tend to be very often classified as an opening mistake. It is hardly ever seen on Master’s level. But it seems like every player at the initial stage of his chess career does it. Why is it bad to give a quick queen check in a first few moves of the game? Well, first of all, it usually allows an opponent to interpose with a pawn, knight or a bishop, gaining a golden tempo by making the queen to retreat. Secondly, since the queen is such a strong piece players usually are uncertain about where it should be placed, so they tend to delay any queen moves to a better time (called a middle game). Of course, there are plenty of exceptions for what I just said. For example, in positions where it is possible to win some material, it is surely the best to make a queen move. Always remember that the opening is for developing chess pieces and not for hunting down opponent’s unprotected rook and knight pawns while sacrificing the development whatsoever. Getting too greedy in the opening can cost you a game. Take a look at my another useful article on Opening Tips. 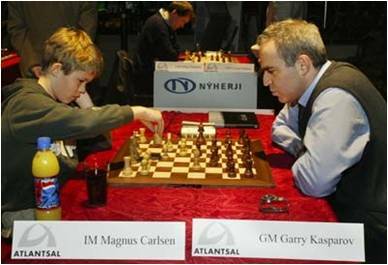 Mistake of novice # 6 Neglecting pins is another very common characteristic of novice chess players. It is always a good practice to get rid of all pins or to “unpin” your pieces even if you don’t see the immediate danger. How many times do novices lose pinned pieces when just a few moves ago they simply ignored the pin? Millions of Knights, Bishops, and even Rooks were lost that way. 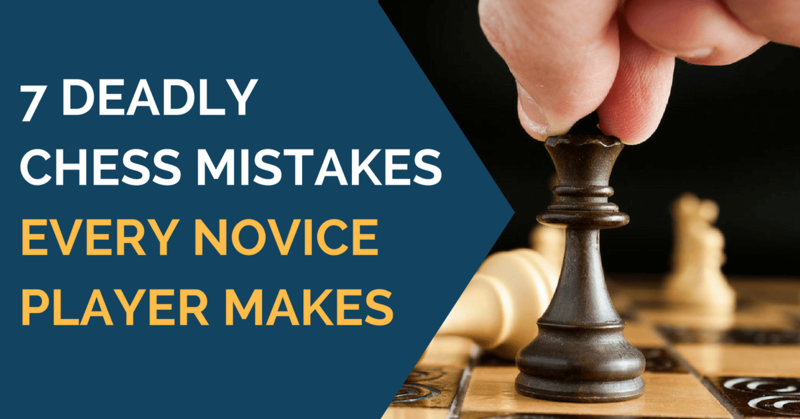 Mistake of novice players #5 Creating weak pawns is probably the second most favorite hobby of novice players after the unnecessary queen moves. They either push pawns so deep into the enemy’s territory that there is no way to protect it (overextended pawns) or in opposite create weak “backward” pawns and struggle in the endgame. Always think twice before the pawn move, pawns do not go back. Mistake of novice #4 Even more deadly chess habit is to ignore pawns completely. I saw many novice players myself who just completely ignore pawns. For some unknown reason, they think that since a pawn is the least valuable soldier in chess army it is not important to save it. I saw many endgames when one party had 6 pawns and other had just 2. It is not very hard to figure out who won. 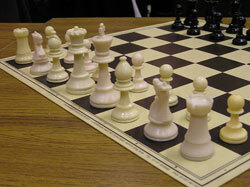 The lesson is to save the pawns; otherwise, you will lose your endgame right in the middle game (C). Mistake of novice players #3 Unnecessary piece moves are also very common mistake novice chess players make. Remember that all the moves in chess are to be made on purpose and for a reason. If you do not know what your move is for, don’t make it. It’s that simple, just look for another one. Mistake of novice #2 Ignoring king safety can be a very dangerous strategy, just like in #7 many games were lost because of an unprotected king was quickly checkmated. The thing that many chess players very often forget: checkmate wins the game, not the extra pawn you got right before your king was checkmated while you made 3 moves with a queen to get that pawn. Remember that and you’ll be the one who will checkmate first. Mistake of novice players #1 Believe it or not, but not being focused loses a lot more games that all the previous mistakes combined. Novice player just does not have enough chess experience and confidence in order to stay focused for the whole game. At some point, novices drop a pawn. Later on – a piece. Afterward, they lose rather quickly. 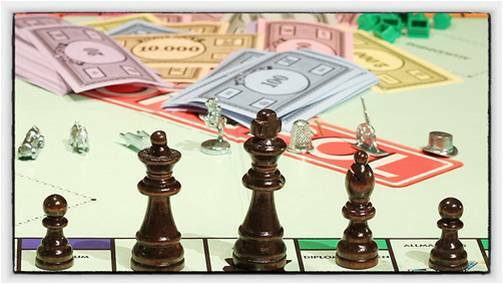 The lesson is a simple – keep an eye on all your pieces and pawns and you’ll be fine in your game. By simply not losing material you will be able to hold against a much stronger player. [quote name=”Scott Mathis”]One of the most common mistakes that some of my students make is making too many fast, impulsive moves. There is a story about Susan Polgar concerning impulsive moves. Apparently, she had a terrible problem making fast, impulsive moves. The problem was so bad that her father and coach, Laszlo Polgar made her sit on her hands between moves. She was not allowed to remove her hands until she had considered all the candidate moves and made a final decision. Hello Scott, and thanks for sharing your technique for fighting “impulsive” moves. I think it can be a problem especially for younger players and keeping their hands busy while mind open to chess would certainly help! One of the most common mistakes that some of my students make is making too many fast, impulsive moves. There is a story about Susan Polgar concerning impulsive moves. Apparently, she had a terrible problem making fast, impulsive moves. The problem was so bad that her father and coach, Laszlo Polgar made her sit on her hands between moves. She was not allowed to remove her hands until she had considered all the candidate moves and made a final decision. I have had success employing this technique with my own students. They may look silly sitting on their hands, but it works. Actually there is something interesting in your idea… the easier is the piece to sacrifice the greater it’s value 🙂 Queen 9 point = extremely easy to sac, pawn = 1 point => somewhat hard to sac. Damn nice, but I feel too many sites are neglecting the Queens use as… guess what? Suicide bomber! I’ve never read any chess tips that encourage this, but I find that if I’m going for the quick n’ fierce attack, and the Queen gets in the way or becomes redundant due to my pieces blocking, I pretty much exchange with the other Queen. Thanks, Daniel. I’m glad you find this information useful! Awesome website Yury.. directly to my bookmarks. Thanks Doris, I have corrected these things. In the 2nd sentence, “loosing” should also have been changed to “losing.” Also, in that same sentence, add a s to player. I want to start new business in canada which business is most profitable and suitable ? I’m glad you like the site, if you have any other suggestions I would appreciate to hear them. I live in America and was curious as to how popular video games are in India, and where someone buys them? First of all let me congratulate you on creating this wonderful website, filled with lots of much required information with respect to basics, openings etc. I love it. I think I will be visiting more often. Pardon me for being nit picky but the in the above article it should be ‘lose’ everywhere and not ‘loose’. The one with the double ‘o’ is used in phrases where one says that “the noose is loose and not tight”. I hope you did not mind me being so pedantic. Hi guys, can you help me win a bet I made with a friend of mine? Thank yooou!! Can anyone tell me that what is the standard height & width of a Chess table? Oh, your so funny. At first upon reading your blog I’m really confused by what you have said.But when I saw your video, I really laugh and laugh. I like chess. It’s really a safe game and uses brain. Nice article……I like chess game , its one of my favorite game, i think this game will improve our thinking capacity….